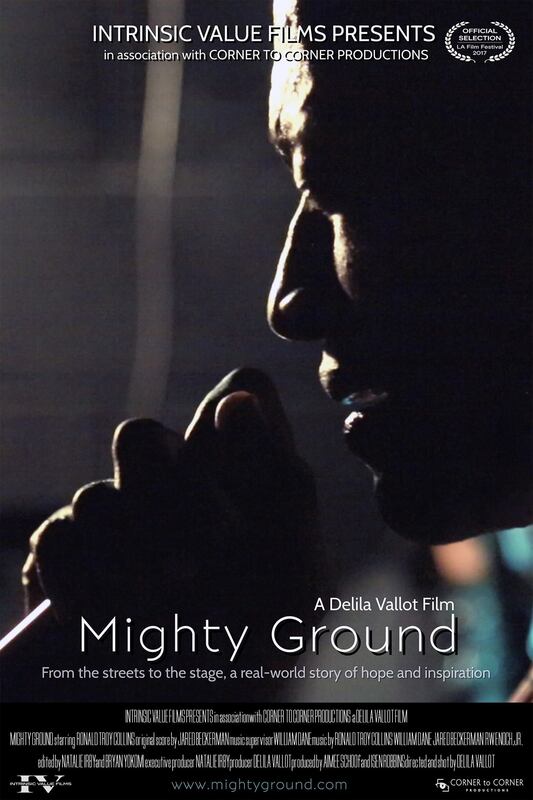 Grab the tissues folks, you are in for a wild emotional ride with The Mighty Ground. Homelessness is not a secret to anyone I am certain, but this amazing documentary shines a whole new light on a seriously dark subject matter. The story of Ronald Troy Collins is one of specificity and unique qualities, yet his situation is not uncommon and is a matter that needs to be discussed more in our common society. Director Delila Vallot does a fantastic job in combining the specificity with a true problem that affects so many people. There are some documentaries that are able to viewed as “impactful” and “powerful” simply based around the subject matter. And Delila had the opportunity to cash in on this simplicity, but I am here now to say that she definitely DID NOT do so. Her stylized imagery and up close and uncomfortable look into the world of Collins is unprecedented and a thing of real beauty. When Ronald sings to the common passerby, you see all of him. You see his soul. You see the painful struggles of man and the beauty that lies within all of us if we are willing to look hard enough. I would be a damned liar if I didn’t say that I was choking up at moments, and finished the film feeling as though there is some good in the world knowing a piece of art like this can exist. (SPOILERS) After a few bumps in the proverbial road, we can say full confidence that Ronald has found his stride and is now putting his talents to good use. He recently performed with the Urban Renewal Project on July 13th at The Federal Underground in Long Beach. And is only continuing to flourish in his career. I hope everybody gets a moment to check out this film, and feel the sort of hope filled joy that I experienced, and for more information on what Mr. Collins may have coming up, Like his artist page on Facebook!